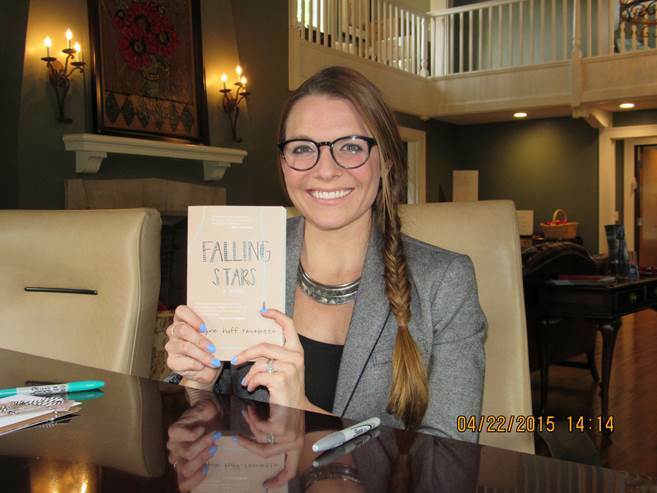 Belmont music business alumna Ashlyne Huff Revelette, 2007, recently published her first young adult novel, “Falling Stars,” about a 17-year-old former country superstar who is trying to get back into the Nashville spotlight. The book will be released on May 1. “Falling Stars” has earned commentary from a number of country superstars including Reba McEntire and Martina McBride. “Growing up with an insider’s look into the music business, Ashlyne writes honestly and in a relateable way about the highs and lows of being a star. Girls will relate to it because of her believable voice, as well as the lessons that are to be learned along the way,” wrote McBride. Belmont was a strong influence in the setting of the book, the characters’ stories and the book’s production. One character attends Belmont in “Falling Stars,” and Revelette is currently writing a sequel that takes place on the University’s campus. “Another December 2007 graduate is a character in the book. In a nutshell, I wanted to do some original music for the book and have songs that were written for it, so I called Brandon Hood, alumnus of 2007 and another non-Belmont grad to write the songs with me. Once we wrote them, I figured there was no point to make up new songwriter names for the characters, so they stayed,” said Revelette. Revelette grew up in a musical family and is a singer-songwriter herself. She was the opening act for 2011 New Kids on the Block and Backstreet Boys tour, giving her insight to the ins and outs of the music industry and the inspiration to write the novel. To learn more about Revelette, “Falling Stars” and the book’s two original songs, click here.